KAMPALA. — Uganda shrugged off yesterday foreign aid cuts and international criticism of its tough new anti-gay law, saying it could do without Western aid. “The West can keep their ‘aid’ to Uganda over homos, we shall still develop without it,” government spokesman Ofwono Opondo said in a message on Twitter. 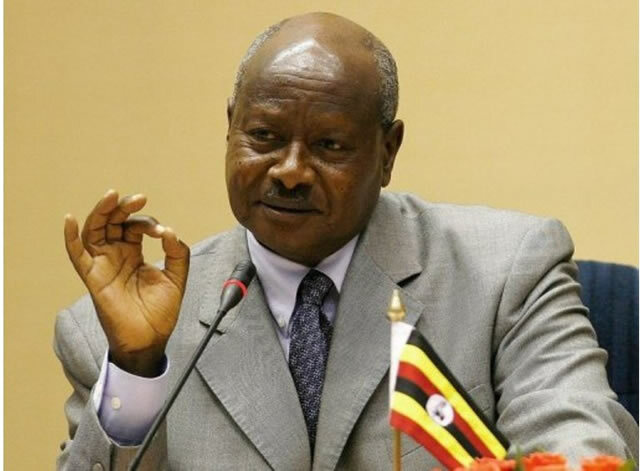 On Monday, Ugandan President Yoweri Museveni signed a Bill into law which holds that “repeat homosexuals” should be jailed for life, outlaws the promotion of homosexuality and requires people to denounce gays. US Secretary of State John Kerry on Wednesday compared the “flat-out morally wrong” and “atrocious” law to anti-Semitic legislation in Nazi Germany or apartheid in South Africa. But Opondo said Uganda’s government was not worried. “Western ‘aid’ to Africa is lucrative and (a) profitable trade, they cannot cut off completely,” Opondo said. The passing of the bill was largely a popular move in Uganda, where President Museveni — in power for 28 years — faces re-election in 2016. — AFP.